Cerebral arteriovenous malformation. 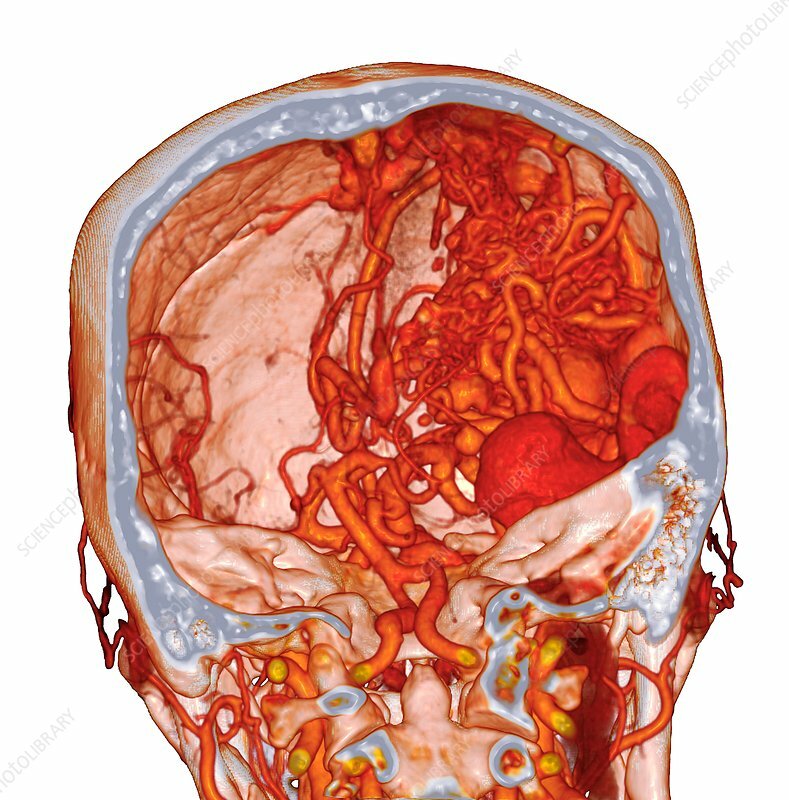 Coloured 3D computed tomography (CT) angiogram scan of an arteriovenous malformation (AVM, centre right) in a human brain. An AVM is an abnormal blood vessel arrangement. An angiogram highlights blood vessels by the injection of a contrast medium.